The 2017 Mercedes-Benz C-Class Coupe should make its way to the Frankfurt Moto Show scheduled for September. But, before the official release at the Moto Show, the company has issued a press release, showing the 2017 C-Class coupe in its full glory. 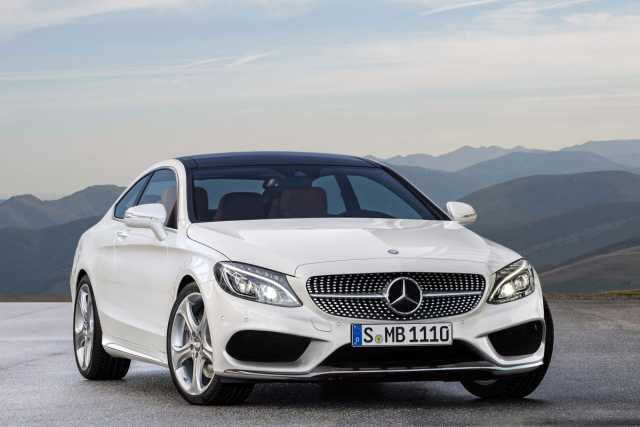 Like the C-Class sedan previously, the coupe looks like a lot like its bigger brother, the S-Class coupe. Both inside and out, the Mercedes-Benz C-Class coupe feels and looks like a baby brother of the S-Class; this was the goal of the Bavarian company, when the redesign of the C-Class was taken up. The new C-class coupe is in essence a scaled-down version of the S-Class coupe with many of the existing styling lines. The front of the exterior looks exactly like the C-class sedan, but once you move towards the back, the removal of the rear doors makes the C-Class coupe an imitation of the S-Class. And the result is a unique and interesting look. For the 2017 C-Class coupe, Mercedes continues the strategy of mixing thrilling design, modern luxury and agile sportiness into a product that offers remarkable driving experience. The C-class Coupe is sporty, but also sensual. Mercedes has reduced the weight of the construction, which contributes to better aerodynamics. The company also offers air suspension as an optional choice for buyers. Some of the elements that resemble the S-Class are the rear spoiler, the horizontal taillights and the strong shoulder line giving the coupe an aggressive slope on the top. Under the hood, the coupe has the same engine as the sedan version of the 2017 C-Class, which is a 2.0-liter turbocharged engine producing 241hp. 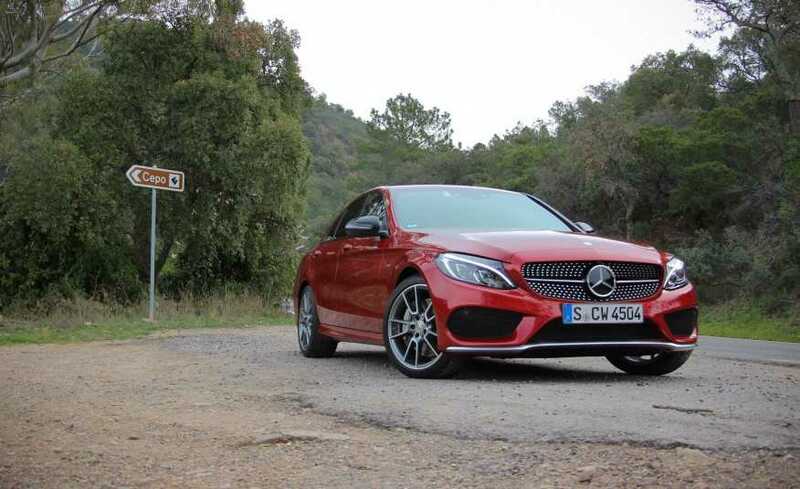 The more potent versions such as the C63 AMG, C450 AMG Sport and the C400 are yet to be announced. The best part about the 2017 C-Class coupe is the addition of technology goodies. The coupe gets almost all the features like the sedan, including the 360-degree system of the camera, air conditioning linked with the navigation system and a bevy of electronic features that make the 2017 C-Class coupe almost a self-driving car. Some of the standard features include Attention Assist monitors, Collision prevention assist system and adaptive brake assistance system. The adaptive cruise control is also part of the standard system goodies. Just like the sedan version of the 2017 C-Class, the coupe features a COMAND system, with the display screen positioned on the top of the dashboard. Mercedes adds the mbrace2 UI to the coupe, and lots of applications that are smartphone-friendly for better connectivity.